Program Description: Private residential garbage collection. The municipality does not pay for the tipping fees. Schedule: Contact the hauler for more information. 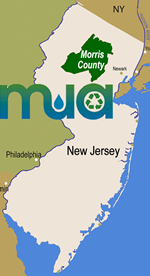 Program Description: Chatham Township contracts for single-stream, all-in-one residential curbside recycling. Maximum weight of curbside recycling container is 50 pounds; use multiple containers if needed. Schedule: Collection is every other Friday. Residents are encouraged to put recyclables at the curbside the night before colelction, but they must be out by 6am. Aluminum Containers	(Recycling - Single-Stream - All-In-One) Rinse thoroughly (no residue allowed) and commingle with recyclables. Aluminum Pie Plates, Trays and Foil	(Recycling - Single-Stream - All-In-One) Rinse thoroughly (no residue allowed) and commingle with recyclables. Brown Paper Bags	(Recycling - Single-Stream - All-In-One) Commingle with other recyclables. Chipboard/Paperboard	(Recycling - Single-Stream - All-In-One) Commingle with other recyclables. Flatten all boxes. Include beverage carriers, cereal, pasta and facial tissue boxes, paper towel rolls. Corrugated Cardboard	(Recycling - Single-Stream - All-In-One) Flatten and mix with other recyclables, and do not bundle or tie. Glass Containers	(Recycling - Single-Stream - All-In-One) Remove lids, rinse the glass and commingle with recyclables. Put metal lids into container; do not put metal lids back onto glass bottles and jars. Mixed Office Paper	(Recycling - Single-Stream - All-In-One) Mix with other recyclables. Newspaper	(Recycling - Single-Stream - All-In-One) Mix with other recyclables, and do not tie or bundle. Other Paper/Mag./JunkMail	(Recycling - Single-Stream - All-In-One) Mix with other recyclables. Plastic #1 (PETE) Bottles	(Recycling - Single-Stream - All-In-One) Empty, rinse and commingle with recyclable mix. Do not put caps/lids back onto bottles. Put caps/lids into the garbage. Plastic #1 (PETE) Food/Bev. Containers	(Recycling - Single-Stream - All-In-One) Empty, rinse and commingle with recyclable mix. Do not put caps/lids back onto containers. Put caps/lids into the garbage. Plastic #2 (HDPE) Bottles	(Recycling - Single-Stream - All-In-One) Empty, rinse and commingle with recyclable mix. Do not put caps/lids back onto bottles. Put caps/lids into the garbage. Plastic #2 (HDPE) Food/Bev. Containers	(Recycling - Single-Stream - All-In-One) Empty, rinse and commingle with recyclable mix. Do not put caps/lids back onto containers. Put caps/lids into the garbage. Plastic #5 (PP) Food/Bev. Containers	(Recycling - Single-Stream - All-In-One) Empty, rinse and commingle with recyclable mix. Do not put caps/lids back onto containers. Put caps/lids into the garbage. Polyboard/Drink Boxes	(Recycling - Single-Stream - All-In-One) Empty and mix with other recyclables. Steel (Tin) Containers	(Recycling - Single-Stream - All-In-One) Empty, rinse and commingle with recyclables. Aerosol cans must be empty. Remove plastic cap/lids, and put them into the garbage. Telephone Books	(Recycling - Single-Stream - All-In-One) Also include paperback or softcover books. Do not include hardcover books. Program Description: Curbside bulky waste collection. Hours: Open on Tuesday 8:30-11:30 am and Saturdays 8:00 am -12 noon. Notes: As of August 23, 2011 the Chatham Township recycling depot is accepting traditional recyclable materials mixed all together in one can to correspond with the way recyclables are now collected curbside. Limitations: This facility is open to Chatham Township residents only. Businesses are not allowed to use this facility. Aluminum Containers	(Recycling - Single-Stream - All-In-One) Rinse and commingle with recyclables. Aluminum Pie Plates, Trays and Foil	(Recycling - Single-Stream - All-In-One) Rinse and commingle with recyclables. It must be clean to be acceptable. Chipboard/Paperboard	(Recycling - Single-Stream - All-In-One) Commingle with other recyclables. Flatten all boxes. Include beverage carrier, cereal, pasta and tissue boxes, paper towel rolls. Corrugated Cardboard	(Recycling - Single-Stream - All-In-One) Flatten and mix with other recyclables, no need to tie or bundle. Glass Containers	(Recycling - Single-Stream - All-In-One) Remove lids, rinse and commingle with recyclables. Metal lids may be placed in container separately. Newspaper	(Recycling - Single-Stream - All-In-One) Mix with other recyclables and do not tie or bundle. Plastic #1 (PETE) Bottles	(Recycling - Single-Stream - All-In-One) Empty, rinse and commingle with recyclable mix. Do not place cap back on bottle. Plastic #1 (PETE) Food/Bev. Containers	(Recycling - Single-Stream - All-In-One) Empty, rinse and commingle with recyclable mix. Do not place cap/lid back on container. Plastic #2 (HDPE) Bottles	(Recycling - Single-Stream - All-In-One) Empty, rinse and commingle with recyclable mix. Do not place cap back on bottle. Plastic #2 (HDPE) Food/Bev. Containers	(Recycling - Single-Stream - All-In-One) Empty, rinse and commingle with recyclable mix. Do not place cap/lid back on container. Plastic #5 (PP) Food/Bev. Containers	(Recycling - Single-Stream - All-In-One) Empty, rinse and commingle with recyclable mix. Do not place cap/lid back on container. Shredded Paper	(Recycling - Single-Stream - All-In-One) If recycling shredded paper with in the MCMUA's "all-in-one" single-stream recycling collection program, the shredded paper must be put into a translucent or clear plastic bag and the bag must be tied closed. Steel (Tin) Containers	(Recycling - Single-Stream - All-In-One) Rinse, commingle with recyclables. Aerosol cans must be empty and plastic caps removed and discarded. Telephone Books	(Recycling - Single-Stream - All-In-One) Includes soft-cover books. Commingle with other recyclables, Do not include hard-cover books. Christmas Trees	(Recycling) Remove oraments and decoration; no tree bags. Plastic - Large Rigid	(Recycling) Place in the container designated for Large Rigid Plastics, do not mix with single-stream recyclables. Tires	(Recycling) Whole tires only for a cost of $2.00 per tire, Contact the Department of Public Works 973-377-5114. Click below to view original documents regarding Chatham Township. If inconsistencies are discovered between these documents and the information provided below, one should initially assume Chatham Township document is correct as it was produced directly by the town. Please contact Chatham Township to verify any issues you are uncertain about and please forward any corrections to the MCMUA at info@mcmua.com.